Residents can use the Alexa-enabled devices to set reminders, stay connected with family and friends, receive updates on news or sports and stay informed about community activities and dining. 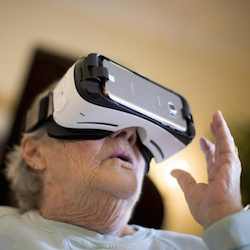 Fort Worth, TX-based management company Civitas Senior Living is testing a virtual assistant and virtual reality in the Lone Star State. The company has partnered with Capitol Seniors Housing, a Washington, D.C.-based private equity-backed real estate acquisition, development and investment management firm, and CT Home, a smart home technology company specializing in custom solutions for senior living, to pilot-test the use of Amazon’s virtual assistant, Alexa, in each resident apartment at Park Creek Independent Living in suburban Houston. The test represents the first scaled use of Amazon’s Alexa technology in Texas for senior living, according to Leon Coe, co-founder of CT Home. Any Park Creek resident who chooses to participate in the program will receive a complimentary Alexa device. Residents also can use the devices to set reminders, stay connected with family and friends and receive updates on news or sports. The program’s goal is to enable residents to maintain their independence and freedom while ensuring that they are as connected as they want to be to their personal network, fellow residents and community programming. For now, the pilot is limited to Park Creek. Civitas has plans to roll out the virtual assistant to its other independent living communities, however, Vittitow said. The company’s portfolio includes 31 operational communities as well as 25 communities in development. Forty percent of them have an independent living component, according to Vittitow. 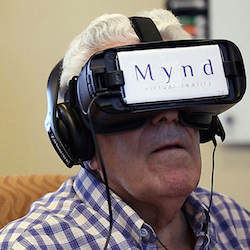 Meanwhile, Civitas has partnered with Dallas-based MyndVR to introduce virtual reality to the residents of Midtowne Assisted Living and Memory Care in suburban Dallas. 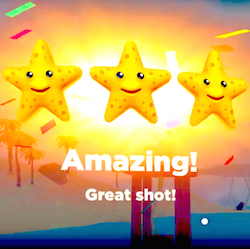 A recently begun pilot program is exploring the effects of curated virtual reality content on residents. The hope is that doing so will create happy, calming and memorable experiences. Residents put on headphones and virtual reality goggles powered by a smartphone to experience various scenarios in two-minute, 360-degree videos. The Civitas pilot follows a recently completed large-scale national pilot by MyndVR that involved several hundred people in senior living communities, including those living independently as well as those with Alzheimer’s disease, Parkinson’s and other conditions, said MyndVR co-founder and CEO Chris Brickler. 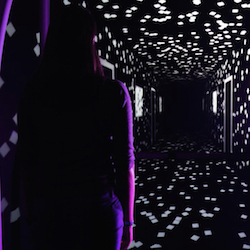 “We observed mood improvement, reductions in feelings of isolation, triggering of memories, an increased sense of connection and lifted spirits among participants,” he said. For now, Civitas’ virtual reality pilot is limited to Midtowne, Vittitow said. It will last six weeks. Long-term, Vittitow said, Civitas may expand the program to other communities. Editor’s Note, Oct. 4, 2018: CT Home has changed its name to VoCo.